This research report provides information regarding the recent finding of a Roman paved ford at Kilgram, close to Masham in North Yorkshire. The ford is well preserved thanks to it being "protected" by it's use as a foundation for the Norman bridge built directly over it. Due to this, it is one of the most well preserved Roman paved fords in Britain. This report describes the fords construction and it's relationship with regards to the system of Roman roads in the area. Kilgram bridge itself is of known ancient construction, and is believed to date from the early 12th century - probably built around 1145 AD by the Cistercian Monks who founded Jervaulx Abbey nearby. Local myth tells how the bridge was built by the Devil after a pact made with the local population. Kilgram Bridge is first mentioned in literature in 1301, however Kevin Cale, in his assessment of the bridge suggests an early 12th century date to be appropriate (4). The construction of the ford will be described later, it's size would tend to indicate this road was an important communication route during Roman times, it's destination - Catterick being a known major centre will have been an important regional focal point, other sites close to the course of the route include a small camp at Roomer Common and a settlement of probable Iron Age origin close to Horsecourse Hill, Grewelthorpe. Little is known of these sites. 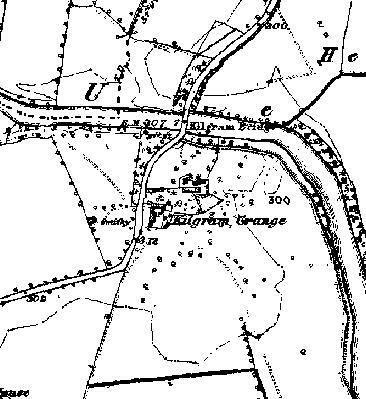 Kilgram Bridge in 1856 - OS map from old-maps.co.uk. Without excavation evidence a firm conclusion as to the period of construction can only be arrived at using evidence as to the visible context of the ford - it's location under Kilgram Bridge, and it's manner of construction. The fact that is sits under a Norman structure, known to exist from at least 1301, and probably built within a few years of the founding of the nearby Jervaulx Abbey - 1145 would tend to suggest it was built in a period prior to the Norman conquest. Other factors such as the building of the bridge directly over the structure indicate it had fallen out of use some time prior to the building of the bridge. 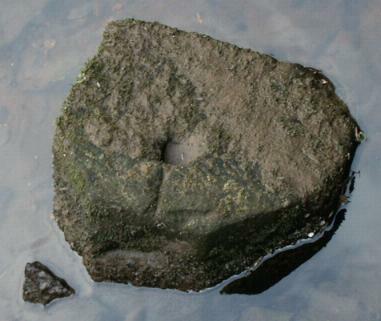 The use of lewis holes in it's construction, as well as water hard mortar are clear indicators of a Roman origin, these features not re-occurring in Britain until long after the date of the bridge which rests upon it. The extensive use of steel straps to bond the structure together give further evidence of a Roman date. 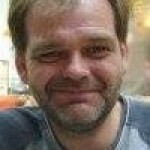 No such structures are known to have been built in either the Norman or Saxon periods. 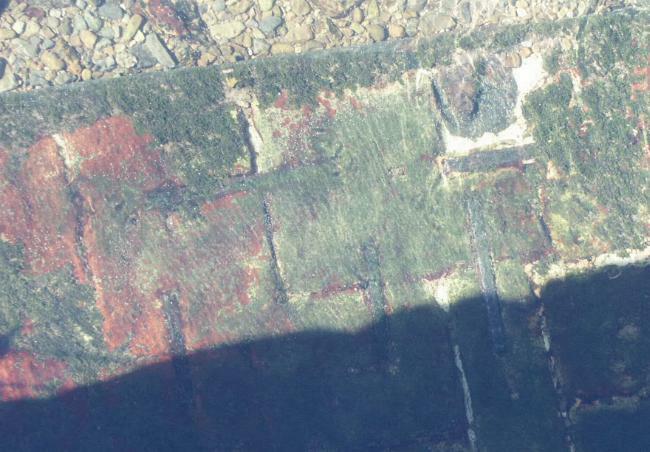 Taking this evidence together, it seems unlikely that this structure could be anything other than that of Roman origin. 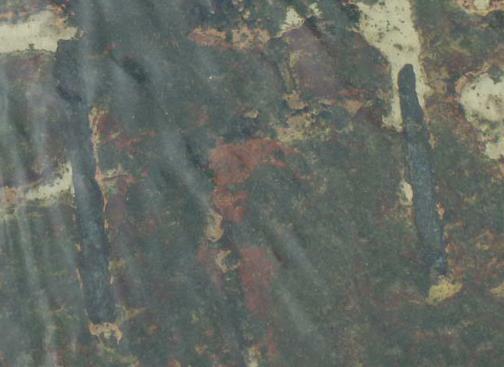 Fortunately, it's watery context means that the wooden parts of its construction are still extant, and perhaps confirmation of it's date can be obtained in future with the use of dendrochronology. Along the outside edges of the ford, along its length, a series of iron straps (opus revinctum) serve to further secure it's structure. These are probably be held in place by now whitened lead, which is typical of Roman construction. 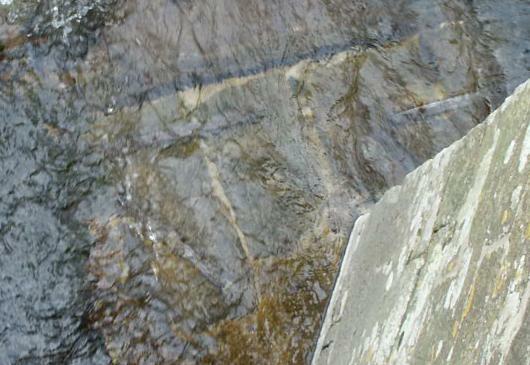 Although the majority of the ford is hidden by a covering of marine plantlife, which has the effect of staining the stone red, in places a number of lewis holes - used to lift the stones into place can be seen. 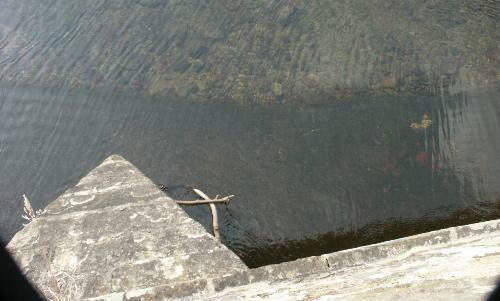 One unusual feature of the ford, is that it broadens in width about two thirds of its length towards it's southern end. It is assumed that this was to accommodate the direction of approach from the south. Although it is generally considered that the Roman's used fords extensively as a means of crossing rivers, paved fords are so far extremely rare finds in Britain, in his book "Roman Roads" Richard Bagshawe mentions only three to be known, two of which have been recently lost due to flood damage and development. The ford at Kilgram sits under an already scheduled monument and should be around for some time yet. The only known paved fords in Britain are Roman, the width of this one compares favorably with the Roman ford at Kempston, Beds. And it's construction appears to have been even more significant. 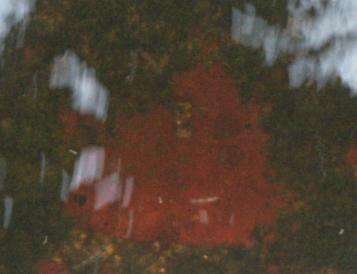 The ford at Kempston apparently lacking the Opus Revinctum. 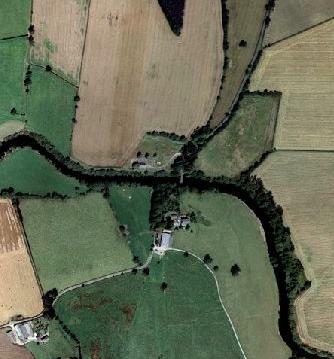 Whilst research is still ongoing, the ford under Kilgram Bridge is highly likely to have been of Roman construction. The building methods and material used, the size of the ford and the known reference to a Roman road passing over this spot all point to this structure being of Roman origin. If this is so, then this ford is one of only four Roman paved fords known in Britain. 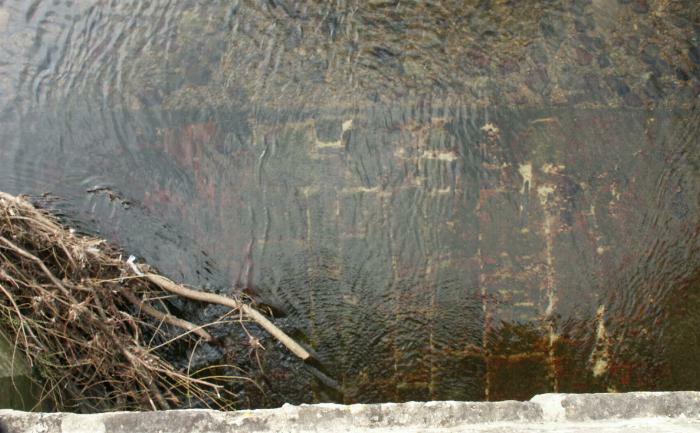 Furthermore, it is potentially larger and more ornate than the largest Roman ford so far known - Kempston, Beds. The width of the ford - approx 8m, compares favorably with the average width of major Roman roads in Britain of 22 pedes (6.5m) and importantly, is almost exactly the width of nearby Dere Street (26 pedes, 7.7m) and again marks this route as being of high importance during Roman times. Of the three Roman mentioned by Bagshawe - Iden Green (Kent), Poddington (Beds) and Kempston (Beds). Only Kempston crosses a large river (The former two are small fords which cross streams.) and would have provided the closest comparison of the construction techniques used, however this was destroyed by recent floods. 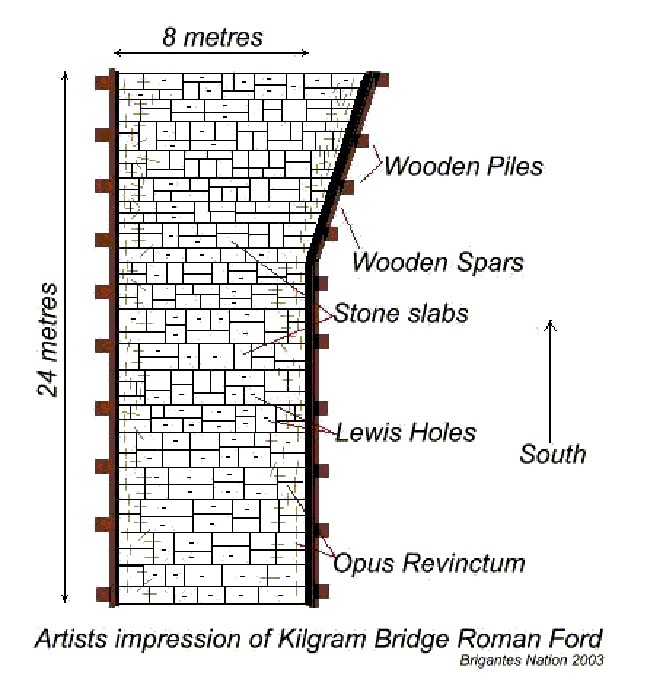 The width of the ford - approx 8m, compares favourably with the average width of major Roman roads in Britain of 22 pedes (6.5m) and is almost exactly the width of nearby Dere Street (26 pedes, 7.7m). However, little is known with regard to the relationship between the width of Roman paved fords and the width of the roads they carried. 1. 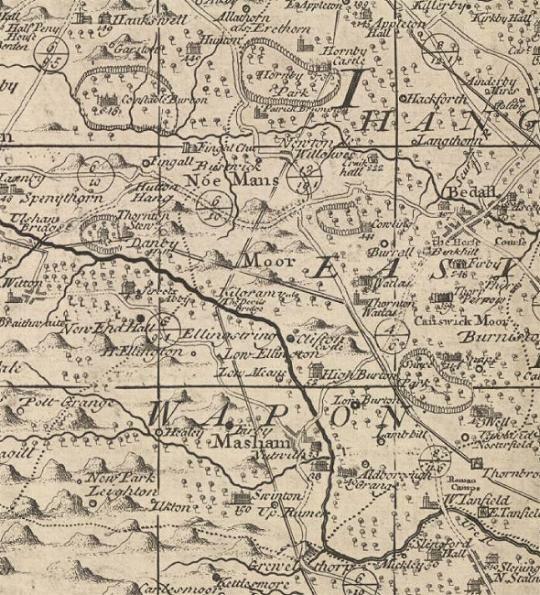 History of Mashamshire, John Fisher, 1860. 2. Roman Roads in Britain. Hugh Davies, 2002 Tempus. 3. Roman Roads, Richard W. Bagshawe, 2000, Shire. 4. 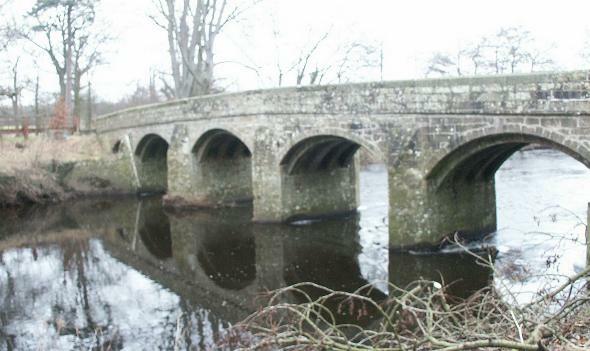 Kevin Cale Archaeological Consultant - Kilgram Bridge (assessment and evaluation reports) 1998. English Heritage.